Hoya (Hoya crassicaulis) seeds. 毬蘭的種子. Hoya (Hoya crassicaulis) seeds start to germinate in about 4 days. 毬蘭種子約4天開始發芽. Tropical flowering vine. Native in rain forest South of Asia. Easy to grow. Best growing in partial shade to light shade location in moist soil. Flowers only on new wood so it will need to remove spent flowers to encourage more growth. Many small flowers combine as a flower head, almost a ball like shape, each flower petal is tan with reddish brown edge and off white center. Fragrant. USDA Zones:9-11. Mature size: 4′-8′ (H/L) X 1′-2′(W). Propagate by seeds, cuttings, layering or division. 熱帶開花藤. 容易栽種. 原生於南亞的雨林. 容易栽種. 最好栽種在半日照到散光處的濕潤土壤. 該物種僅在新枝上萌出花芽,故花謝後須剪除以利花芽再生. 開芬芳的花朵,花瓣為淡黃/象牙色,花心為接近淡粉紅色. 花由多數的小花組成像花球般,單朵花的花瓣為淡黃色帶紅褐色的花瓣邊緣,接近米色的花心. 花香. 植株喜熱不耐寒. 成熟株高/藤長4-8呎, 寬幅1-2呎. 繁殖以種子,扦插,壓條或分株的方式來進行. Hoya (Hoya fusco marginata) 毬蘭的種子. Hoya (Hoya fusco marginata) seeds start to germinate in about 4 days. 毬蘭種子約4天開始發芽. Tropical flowering vine. Easy to grow. Best growing in partial shade to light shade location in moist soil. Fragrant yellow/ivory pedals and salmon center flowers in summer. USDA Zones:9-11. Mature size:4′-8′(H/L) X 1′-2′(W). Propagate by seeds, cuttings, layering or division. 熱帶開花藤. 容易栽種. 最好栽種在半日照到散光處的濕潤土壤. 夏開芬芳的花朵,花瓣為淡黃/象牙色,花心為接近淡粉紅色. 植株喜熱不耐寒. 成熟株高/藤長4-8呎, 寬幅1-2呎. 繁殖以種子,扦插或分株的方式來進行. Weeping Fruiting Mulberry (Morus alba ‘Tea’s Pendula’) can be propagated by cuttings. 枝垂型白桑容易用扦插來繁殖. Cold hardy vigorous tree with pendulous branches. Tolerant of drought and salt. Easy to grow. Best growing in full sun location. Late spring to early summer with yellow green flowers, followed by edible sweet juicy fruit from green to red then ripe to purple-black or maroon. Bright yellow fall color. USDA Zones:4-10. Mature size:7′-10′(H) X 12′-15′(W). Propagate by cuttings, grafting or air-layering. Medicinal. Fast growing. Good for small garden. 耐寒強健野性強的枝垂型落葉樹. 耐旱耐鹽. 容易栽種. 最好栽種在全日照處. 春末夏初時開黃綠色小花串,結可食性果實由綠色轉成熟時為紫黑色或暗紅色. 秋天的葉色為亮黃色. 耐寒也耐熱. 成熟株高7-10呎,寬幅12-15呎. 繁殖以扦插,嫁接或高壓的方式來進行. 藥用. 生長快速. 適合小型花園栽種. Aromatic aquatic perennial. This herb/grass is very common seen in many parts of the world in wild. Easy to grow. Best growing in full sun to full shade location in moist soil. USDA Zones:4-9. Mature size:3′-6′(H) X 1′-3′(W). Propagate by seeds, rhizome/bulb/roots, offsets, division. Medicinal. Suitable for growing in container. 芳香的水生植物多年生草本. 這香草/禾草是廣泛可見的植物. 容易栽種. 最好栽種於全日照到半日照出的濕潤土壤. 耐寒也耐熱. 成熟株高3-6呎,寬幅2-3呎. 繁殖以種子,地下根莖/球根/側芽,分株的方式來進行. 藥用. 適合盆植. Parrot’s Beak (Gmelina philippensis) Leaves are growing! 菲律賓石梓枝條長出葉片了! Parrot’s Beak (Gmelina philippensis) cuttings start to grow shoots. 菲律賓石梓扦插枝條開始長出新芽. Parrot’s Beak (Gmelina philippensis) cuttings. 菲律賓石梓有癒合組織的扦插枝條. Parrot’s Beak seed. (Gmelina philippensis) 菲律賓石梓種子(果核). Tropical shrub/vine. Easy to grow. Best growing in full sun to partial shade location. Unique yellow hanging flowers look like a head down lobster shape or parrot’s beak, flowers bloom from mid spring to mid fall. Long blooming time. Flowers attract bees, butterflies and birds. USDA Zones:9+. Mature size:10′-15′(H) X 8′-15′(W). Evergreen in warm climate. Fleshy fruit contain only one seed. Medicinal plant. The stems is prickly with small amount of thorns, handle with care! 熱帶灌木/木本開花藤. 容易栽種. 最好栽種在全日照到半日照處. 黃色花獨特的花串看起來像是龍蝦頭下尾上或者形如鸚鵡的鳥喙. 花期從仲春到中秋. 花期很長. 花吸引蜂蝶與鳥類. 植株喜熱不耐寒. 成熟株高10-15呎, 寬幅8-15呎. 溫暖環境下是常綠的. 一果一籽. 藥用. 莖幹有刺, 要小心. Pineapple Guava or Feijoa (Feijoa sellowiana) seeds. 斐濟果的種子. Pineapple Guava or Feijoa (Feijoa sellowiana) seeds germination in a month. 斐濟果的種子約1個月會發芽. Pineapple Guava or Feijoa (Feijoa sellowiana) seedlings. 斐濟果的小實生苗. Tropical fruit tree. Easy to grow. Best growing in full sun to partial shade location. Red and white flowers in late spring to early summer. Edible sweet juicy fruit is very fragrant. Flowers attract bees and butterflies. USDA Zones:8-10. Mature size:8′-10′(H) X 4′-6′(W). Propagate by seeds or cuttings. 熱帶果樹. 容易栽種. 最好栽種在全日照到半日照處. 春末夏初開紅色帶白色的花朵. 結的可食果實很香甜多汁. 花頗吸引蜂蝶. 植株喜熱不耐寒. 成熟株高8-10呎,寬幅4-6呎. 繁殖以種子或扦插的方式來進行. Oriental Lily ‘Casa Blanca’ (Lilium ‘Casa Blanca’) has very large and fragrant flowers. The first day bloom is already over 25cm in diameter. 香水百合花又大又香. 第一天剛開就有25公分的花徑. Oriental Lily ‘Casa Blanca’ (Lilium ‘Casa Blanca’) has very large and fragrant flowers. Very showy and easy to go with other flowers in the garden. 香水百合花又大又香. 很容易在花園內和其他花搭配爭豔. Oriental Lily ‘Casa Blanca’ (Lilium ‘Casa Blanca’) has very large and fragrant flowers. Nice to go with other flowers in the garden. 香水百合又大又香,和花園裡其他的花很好搭配. Cold hardy perennial flowering bulb. Easy to grow. Best growing in full sun location. In summer, showy, very large white flowers with perfumy fragrance. Flowers attract bees and butterflies. Excellent for cut flower! USDA Zones:4-9. Mature size:3′-6′(H) X 1.5′-2′(W). 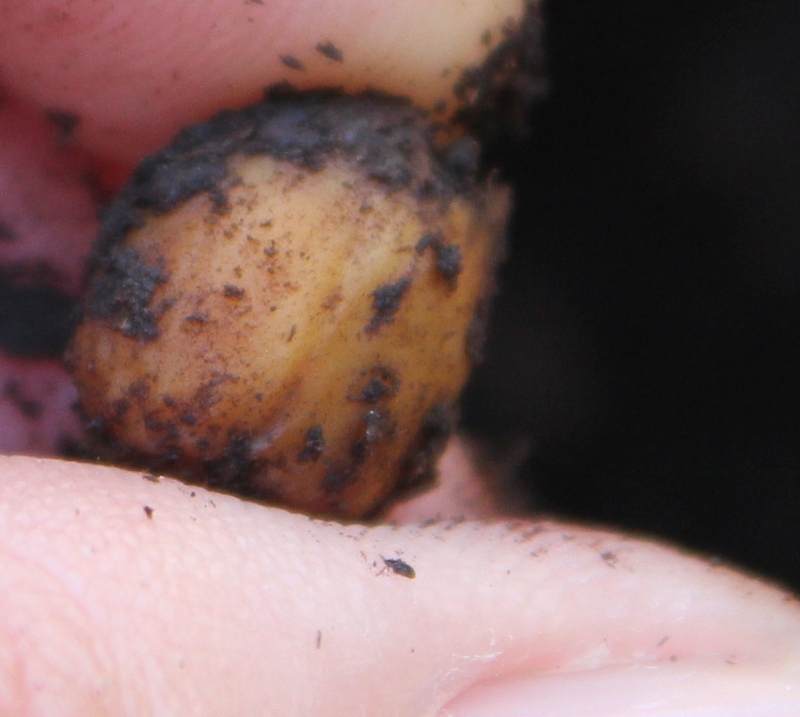 Propagate by seeds, bulbs, bulbils or division (including the bulb scales). 耐寒強健的多年生球根花卉. 容易栽種. 最好栽種在全日照處. 夏天開顯眼亮麗超大朵的白花,花徑可達1呎,花有強香. 花頗吸引蜂蝶. 很適合切花! 耐寒也耐熱. 成熟株高3-6呎,寬幅1.5-2呎. 繁殖以種子,球根,子球或分株(包括拆開球根的鱗片來繁殖).